Point of View Reveals Geforce GTX 460: TGT Beast. 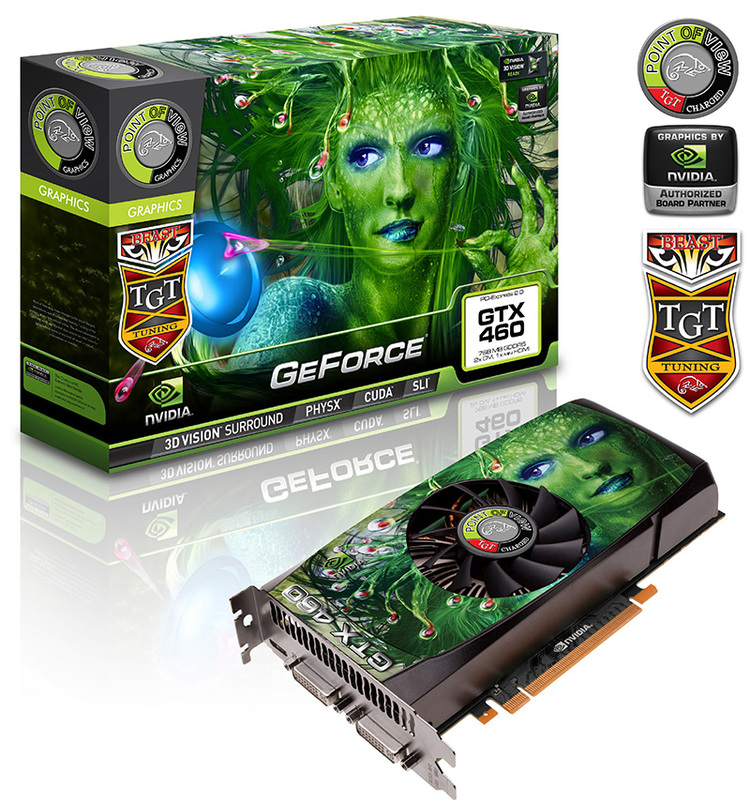 Point of View has come up with the fastest Nvidia Geforce GTX 460 yet which it has named the POV/TGT “BEAST” Edition. It is named so because this variant comes with massive factory overclocks delivering unprecedented performance to Hardware Enthusiasts and gamers. The card also features nice stability while maintaining clocks of 855 MHz core clock, 1710 MHz shader clock and 4020 MHz memory clock on a GDDR5 memory. The card comes in two variants, One featuring a 1GB GDDR5 memory while the other comes with a 768Mb GDDR5 memory. The cards provide excellent performance in current gen games with features such as Direct x 11, Tessellation and PhysX. The prices are yet to be announced but we know this that these cards will truly provide a beastly performance in games.